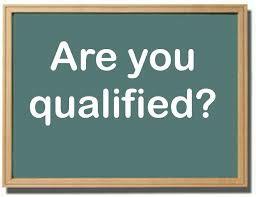 Does 18-Months Qualify You To Be The Best Prison Consultant? “Evan says you’re the best prison consultant in America. He said he stayed up all night reading your blogs and watching your videos. I’ve been busy, and I have yet to read them or watch your videos, but I do wonder how serving a measly 18 months in prison qualifies you to be the best,” a client’s lawyer asked me while I was driving to Katsuya to have sushi with a client. When I just got out of federal prison, I would’ve responded to this lawyer by defending my prison routine. I would have shared how hard I worked to make amends, and I would have made other statements to try to impress him. At the time I had nothing else to fall back on. Now, many years later with case studies, testimonials and other evidence behind me, I take a measurably different approach. I decided that I would take a pleasant and polite approach, despite his “measly” comment, which by any measure was an insult. Any day served in federal prison, including 18 months, is tough, and one that will leave an indelible memory on the person that served it. 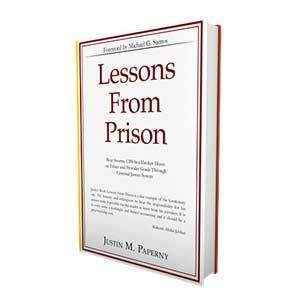 “I cannot comment on what it means to be the best prison consultant in America. While I’m flattered that our client said that to you, the reality is he does not have enough data or comparisons to make that statement. I do commend him for doing his research, and for asking demanding and tough questions. But I must reiterate that since I am the only prison consultant he has hired, it would be impossible to argue that I or anyone, was the best prison consultant,” I told him. “I was pretty adamant that he work with a consultant of mine. After all, the consultant served 10 years in prison. No offense, but how can you help someone who might end up serving a longer prison term than you? Plus, you’re twice the cost,” he said. I continued, “The unfortunate reality is the prison industry is overrun with pretend experts, claiming to tell people how to succeed through federal prison, despite never having done it themselves. They talk about going from struggle to success, yet they have no evidence to support that statement, other than a flashy website or video they put up. Your prison consultant was remanded back to custody while in the halfway house. Many prison consultants have violated and been sent back to federal prison. I’m not sure people should be teaching others how to stay out of prison, if they cannot themselves stay out of prison.” I was direct. “Where did you go to undergraduate school?” I asked him. “Look,” he told me, “I know you have qualifications. I did not mean to insult you. Evan is tough. If he hired you, I know you are good at what you do. If he vetted you half as much as he vetted me you are good. Now, I would like to turn to something you suggested to Evan. He told me that you insisted I give my feedback, which I appreciate. Do you have time now to discuss?” he asked me. “Well, as you know I do not give legal advice. And I would be lying if I said I have not had this call before with other highly skilled lawyers. My suggestion stems from logic, or logic as I perceive it. When you were a prosecutor I presume the federal prison sentence you recommended hinged, in part, on the defendant’s contrition, the level of remorse he showed. Prosecutors are valuable stakeholders that need to be impressed. The judge as we know is also a valuable stakeholder. Additionally, the probation officer that will write the report is a major stakeholder, as she will be making a recommendation on how long Evan should serve in prison,” I was trying to make the point that we want to influence every one, not just the judge. “Would you agree?” I asked. “What is the point,” he asked. “Without explaining his background, his challenges, his work ethic, and drive, he will be treated the same as me: a greedy, entitled securities broker who had all the breaks in life. I was born with 5 aces, while Evan got dealt a 2, 8, 10, 6 and 7. Not a great hand. If we do not show the difference to the people that will judge him, I think we have failed,” I was really trying to stress that showing a defendants unique background could influence the probation officer in a positive way. It could help her see the defendant as more than his out of character conduct. I continued, “After all, why would we turn in this letter to the judge, yet not share it with the prosecutor and probation officer who will play a role in determining how long he will serve in prison? Let’s try to influence all stakeholders. I have evidence suggesting defendants get better outcomes when they work to influence those that will judge them. His background is unique and I think he has overcome more than many defendants, including me. 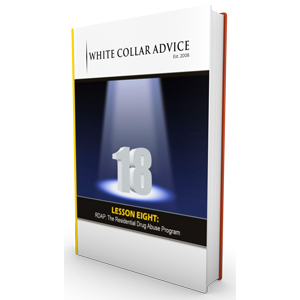 They must hear it from him, not just you–who is paid to extol his virtues,” I spoke confidently because I know this is a strategy that every white collar defendant should pursue. “I will review the narrative and your lesson plan on the presentence investigation tonight. “Maybe yore uth best prison consultant in America!” he joked. “I give advice I needed when UBS security guards walked me down to my car on January 11, 2005. If I had someone like me guiding me, my life would be different. I will help Evan set clear goals, identify the obstacles that await him, identify what skills and expertise he must acquire, and help him learn from those who have done it,” I told him. For clarity, I don’t necessarily have anything against the prison consultant he has used in the past. My goal is not to persuade him to use me in the future, but rather do when I’m paid to do: help my client serve the shortest sentence in the most favorable institution. I believe with all my heart the defendant can better achieve that outcome if they persuade all stakeholders they are better than some criminal decisions they made. The primary difference is that this other prison consultant simply prepares his clients for life on the inside. And there is value in that. It is important to learn about the commissary, visitation and how to get the best bunk or job. Of course, I do that as well, and then some. But the biggest separator is helping defendants prepare for life before and after prison. And that includes going through the presentence investigation, the personal narrative, generating best in class character reference letters, and making sure that the lawyer is properly held accountable. After all, it’s impossible to gauge who the best prison consultant is, just like it’s impossible to gauge who the best criminal defense lawyer is. I’m grateful that I have a client who’s willing to embrace the strategies I teach. Rather than feel nervous about sharing some of the strategies with his lawyer, he takes immediate action. He asks for discussion and dissent. I’m also appreciative that this lawyer is willing to embrace this strategy. Rather than claiming that he knows all of the answers, he is clearly putting his client’s interests first. I am simply doing the same. P.S. Wondering how a narrative can impact your sentencing and stay in federal prison? If so, click here to schedule a call.